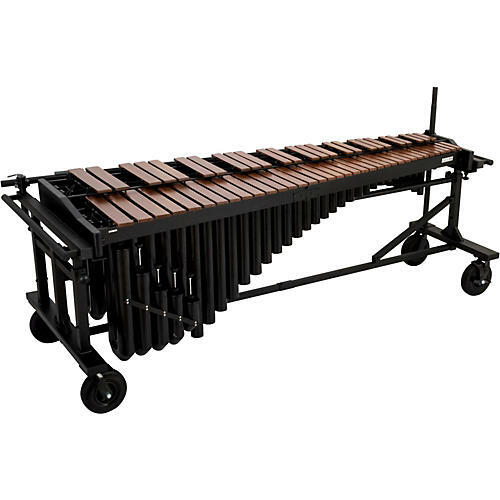 Majestic Quantum series marimbas feature a newly formulated synthetic bar material for the best possible performance in all environments. These bars have unprecedented warmth of tone for a synthetic material and a wood like appearance. Precision tuning methods ensure the highest level of tonal consistency. The 5 Octave model has synthetic bars with 7 graduations and the 4 1/3 model has 5 graduations. Both models feature offset arch resonators with gold finish, pnuematic cylinder assisted height adjustment and 8" pneumatic wheels.